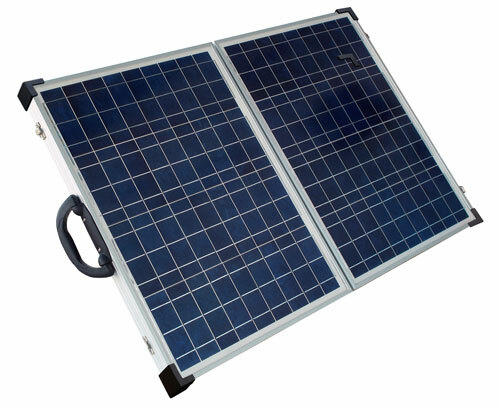 2 x 40 Watt Multi-Crystalline solar panels in series. Heavy Duty anodized aluminum frame and support legs. Smart solar controllerbuilt in to prevent over charging and solar discharge. 15 foot Extension cable with battery clamps. Includes Cloth storage/carry case for safe and secure transportation. Adjustable Legs - Panel angle can be easily adjusted. Legs fold completely in for storage. Heavy Duty Carry Handle easy handling when removed from the bag. Safe fasteners will lock the panel shut. Ideal for Disaster Recovery, RV and Camping, Boating, Fishing, Emergency Power and more.